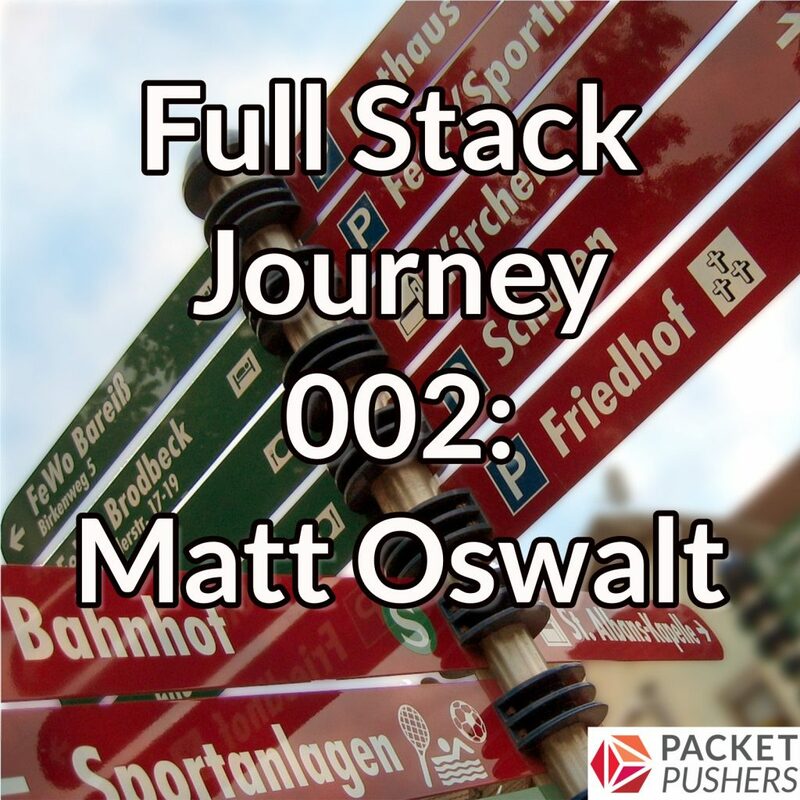 In Episode #2 of the Full Stack Journey podcast, my guest is none other than Matt Oswalt. You may know Matt as the primary author at Keeping It Classless, or as @mierdin on Twitter or GitHub (he also has a YouTube channel and a podcast of his own). Matt is primarily focused on network infrastructure, but is really interested in the intersection of network infrastructure and software development. Matt, along with Jason Edelman and yours truly, is one of the co-authors of a new book on network automation and programmability, and as such is a perfect guest for the Full Stack Journey. Thanks again, I love the statement about avoiding religion or religious statements ( in a technical sense ).